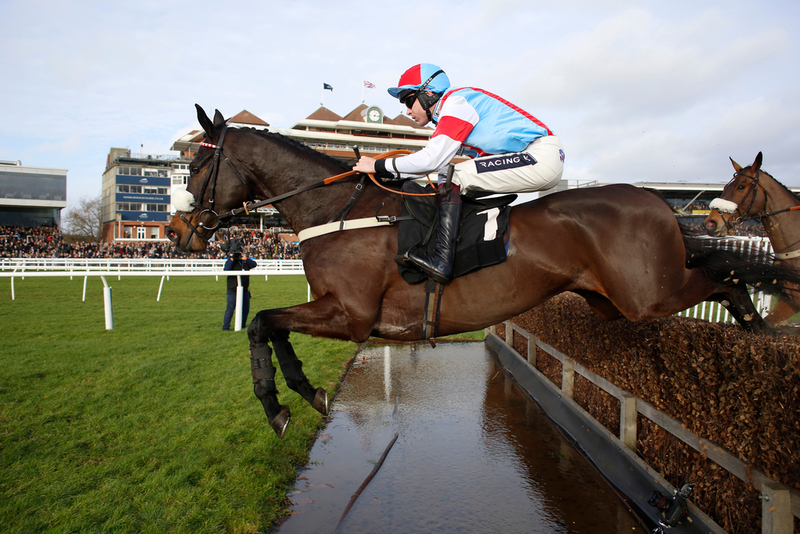 Trainer Harry Whittington is revelling in the prospect of taking on Nicky Henderson's jumping superstar Altior at Sandown in December, when he sends his runner Saint Calvados to run in the Tingle Creek. The five year old made a marvellous seasonal reappearance beating one of last years best 2 mile chasers in Footpad, who subsequently fell at the last but was never catching Whittington's horse, when he took the Grade 3 Poplar Square Chase at Naas on Saturday. This result really put into perspective what a talent Saint Calvados could be this season and showed what a great decision it was by the trainer to send his horse across the pond to Ireland to get his season underway in style and reverse the result of when the two last met at the Cheltenham festival, where Footpad romped to victory in the Grade 1 Arkle Trophy. After this success Whittington can not wait for Saint Calvados to get back on track and with the progressive nature of the horse the step up to the Grade 1 company in the Tingle Creek seems to be the logical proposition. (Credit At The Races) The trainer said: “He’s one of my equine heroes – he’s just an unbelievable horse. “It’s going to be a great spectacle (Tingle Creek), I hope, for everybody to behold. “We’ll look forward to it. From now until the Tingle Creek is not a huge amount of time. We didn’t want to go to Cheltenham at the weekend (for the Shloer Chase), with the Arkle not having gone to plan. “To get back on track we thought a smaller field like this, first-second season novices, looked ideal conditions. “Saint Calvados is a smart horse. I think he’s proved that and has probably quietened the doubters now. “He has definitely strengthened up a huge amount physically, and some of his work has been more improved this autumn. Whittington spoke about how the horse had been in great form before his clash with Footpad last weekend and was really optimistic with his chances. “He’s just been thriving and looking amazing,” he said. “We felt he would come back and give Footpad something to think about, and he’s done that. “There was an element maybe Footpad was not at his best. (But) our performance was very polished and controlled, and he was more relaxed in front. “The one (fence) where Footpad made the mistake, actually Calvados put in a short one – and he was so quick and clever it might have put a bit more pressure on.